William Wyman “Billy” Sherwood (born March 14, 1965, Las Vegas, Nevada) is a musician, record producer, and engineer. Sherwood comes from a musical family which includes his father Bobby Sherwood, who was an actor, musician, and big band leader, his mother Phyllis, a singer and drummer, and brother Michael, a keyboardist and singer. His godfather is the late Milton Berle. Billy has a wife, Michi. Sherwood’s music career started when he joined a band called Lodgic formed by Michael. Billy played bass and sang, while Michael played keyboards and sang back up. Lodgic also included Guy Allison on keyboards, Jimmy Haun on guitar and Gary Starns on drums. They eventually moved the band to Los Angeles in 1980. After many years of trying to get things together, they recorded their debut album Nomadic Sands, released in 1985. Lodgic eventually broke up, and Billy Sherwood put together a new band with Guy Allison. They recruited guitarist Bruce Gowdy and drummer Mark T. Williams to form World Trade. They recorded their self-titled debut in 1989, with Sherwood taking on the roles of engineer, mixer, and producer again, along with his band duties as bassist and lead singer. Then, Sherwood and Gowdy were asked to come and jam with Chris Squire, Alan White, and Tony Kaye of Yes. Singer Jon Anderson and guitarist Trevor Rabin had left the band and the idea was for Sherwood and Gowdy to replace them in the band. Rabin returned to the band, but demos were recorded by a line-up of Squire, White, Kaye, Rabin and Sherwood. However, Yes were to merge with Anderson Bruford Wakeman Howe and Sherwood was relegated to the role of side musician, appearing on one track of the subsequent album Union. Like Trevor Horn before him, Sherwood was uncomfortable with the idea of replacing Anderson as the front man of Yes, but he struck up a friendship with Squire that would lead to work with him throughout the next 20 years. During the hiatus of Yes, Squire put together the Chris Squire Experiment, having Sherwood as the lead singer while playing some guitar and keyboards. Sherwood then went on to record a project called The Key with guitarist Marty Walsh, though they would not release the album until 1997. Behind the board, Sherwood worked with Motörhead, Dangerous Toys, and Paul Rodgers (formerly of Bad Company) as producer and engineer. Sherwood also guested on Toto’s Kingdom of Desire album, singing and playing bass. He also produced a couple of tribute albums, including Jeffology, a tribute to Jeff Beck. Sherwood then joined Yes on tour as an additional musician, playing guitar and keyboards for their tour in support of Talk. Sherwood got back together with his band mates from World Trade and released Euphoria in 1995, with Jay Schellen replacing Williams on drums. After this, he worked with a multitude of artists. Most of his work was as producer, mixer and engineer, including on more tribute albums: Dragon Attack, a tribute to Queen; Salute to AC/DC; and Crossfire, a tribute to Stevie Ray Vaughan. Sherwood would co-produce, engineer and mix the new studio tracks for Yes’s Keys to Ascension and Keys to Ascension 2 albums. Sherwood started work on a third album by World Trade, but the band would fall apart. He would later use much of that material as his debut solo album The Big Peace, released in 1999. After the two Keys to Ascension albums, Rick Wakeman left Yes. Sherwood’s friendship with Chris Squire would then lead him being asked to join the band again. The material that they had written together was used as the basis of what would become Open Your Eyes, released in 1997 by Yes. Sherwood played guitar and keyboards. Igor Khoroshev would join the band before the tour as the keyboardist leaving Sherwood to playing guitar and supplying backing vocals. After returning from the tour, Sherwood and Yes returned to the studio to record The Ladder. During this time too, Sherwood and Squire started putting the finishing touches on their album Conspiracy, largely based on the Chris Squire Experiment material, which was released while Yes was on tour in support of The Ladder in 2000. Billy also took time to perform on his brother Michael’s album Tangletown, released in 1999. Yes recorded a show during The Ladder tour in Sherwood’s hometown of Las Vegas at the House of Blues. This was released as an album and DVD titled House of Yes. Then after the tour, an announcement came that Sherwood was no longer a member of Yes. After his departure from Yes, Sherwood worked with Chris Squire to release Conspiracy, including some work they composed together some years before. Following that, Sherwood composed his first solo album called The Big Peace in which he played most of all the instruments and also produced. The album was a sort of back to basics of his progressive roots. In 2003, Sherwood released another album with Chris Squire, the project becoming known as Conspiracy. The album was titled The Unknown. More recently, Sherwood has been working on further tribute albums, notably Back Against the Wall and Return to the Dark Side of the Moon, tributes to Pink Floyd’s The Wall and The Dark Side of the Moon respectively. The latter includes a new track recorded with Tony Kaye. In 2007, a new band with Sherwood, Alan White, Tony Kaye and Jimmy Haun was announced, called Circa. With the release of their debut album Circa 2007 and a live DVD concert, Circa has played various live dates. White left the band and was replaced by Jay Schellen. Sherwood is also credited for writing the theme song for the online anime series, Kung Fu Jimmy Chow. 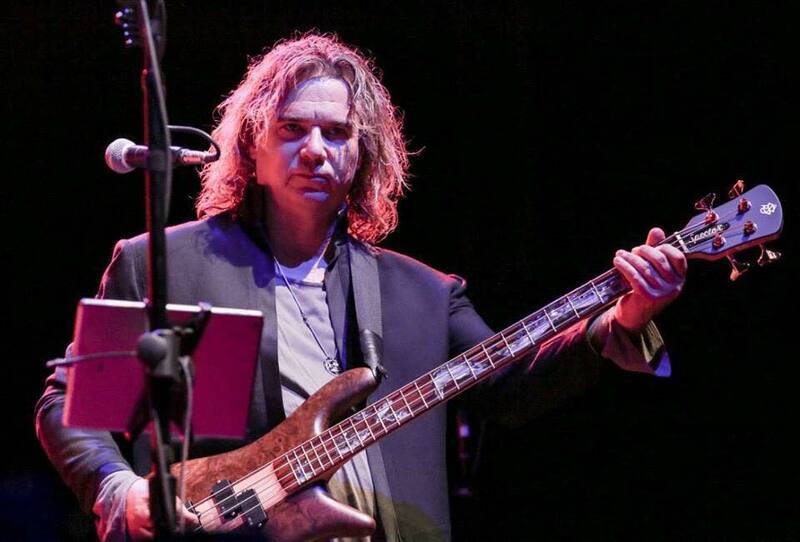 In August 2008, Billy Sherwood’s released his third solo album, At the Speed of Life, for which he received an award that year as the best Progressive Rock Producer. On January 14, 2009, Circa self-released on the Internet its second studio album, Circa HQ. This time, White was not available due to his commitments with Yes (who had begun a new tour). Sherwood’s long time friend, collaborator and drummer, Jay Schellen, replaced White on the album. After a short international tour, Sherwood and co. started another project with former Toto singer, Bobby Kimball. Kimball, Sherwood, Tony Kaye and Jimmy Haun formed new band, Yoso, with a debut studio album in April 2009. Haun later abandoned the line-up (in order to focus on his work for adverts). He was replaced by Yes tribute band guitarist, Johnny Bruhns. Schellen chose to focus on his work in Asia Featuring John Payne and, after a number of other drummers, the band toured with Scott Connor on drums. Yoso then disbanded. Sherwood also released his fourth solo album, Oneirology. In 2011, CIRCA: returned with a new line-up of Sherwood, Kaye, Bruhns and Connor, while Sherwood released his fifth solo album, What was the Question?. In 2012, Sherwood wrote, produced, arranged and performed on The Prog Collective, an album featuring vocal or instrumental contributions from many of the progressive rock artists he had worked with over the years. He reprised the concept with a similar collection of artists for Epilogue, released in 2013. On October 8, 2013, they released the official video to William Shatner’s record Ponder The Mystery, followed by a sold out tour with CIRCA. Ponder The Mystery also features appearances of Steve Vai, Robby Krieger, Al Di Meola, George Duke, Vince Gill, Dave Koz, Rick Wakeman and Edgar Winter. He also played with Alan Parsons Project. Sherwood appeared along with William Shatner in the Season 14 premiere of Hell’s Kitchen where they met blue team as part of their reward for winning the signature dish challenge. On 11 January 2017, it was announced via Asia’s Official Facebook that Sherwood would be filling in for John Wetton for tour dates in the spring of 2017 while Wetton underwent chemotherapy. Weston died on 31 January 2017.